As we are moving towards developing applications more and more on the native HANA stack or use hybrid scenarios to combine both the worlds(BW&HANA), it is important to understand how to debug procedures using the eclipse “Debug” perspective. Some things are vintage and some things are just old. While we were digging through the archives, we found one of our older videos and decided to dust it off and give it an update. Who says something old can’t be new again? And speaking of new, if you’re starting to learn about streaming analytics and trying to figure out how to create, run, or test a project in studio, this is the perfect video for you. Ready for more good news? Silly question, I know. That’s like asking if you want the last slice of pizza. Anyways, the good news is that this video is part of a tutorial series. So, after you’ve learned the basics of creating and working with projects in studio, you can then learn how to use cockpit to monitor those projects. The bad news? You’ll have to wait for the end of November for the second video to come out. You know the saying: good things come to those who wait! Till now no there were no details about how SAP will use this new technology. You can use it as filesystem or as in-memory format. 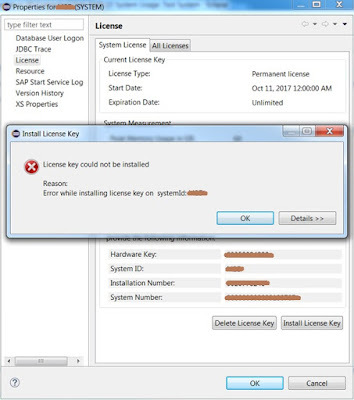 While the host-auto failover configuration with the core HANA Database is well known, the additional steps when XS Advanced (XSA) is installed are less well known. In below steps I give an example how it can be configured. When you read through the notes several decisions must be made for your own implementation, so your configuration may be different. SAP BusinessObjects Design Studio supports connections to streaming analytics as a data source for your applications and dashboards. It connects to streaming via the Web Services Provider and provides your application with real-time data. Before you create the connection though, there are a few things to set up on the streaming side: you’ll need to confirm your WSP configuration info, set streaming permissions, and enable web services for your project. In this blog post, I’m documenting the steps I followed to enable Information Access in SAP HANA, express edition on my Google Cloud Platform machine. I know there is already very good blogs on this topic, The purpose of this blog is to explain the process of performing a simple homogeneous system copy of a HANA (MDC-multi tenant database container) based system using the recovery of the source backup on the target HANA DB using HANA Studio and Using SWPM , I don’t find More blogs and details regarding homogeneous system copy or backup/Restore on HANA 2.0 on multi tenant database container. 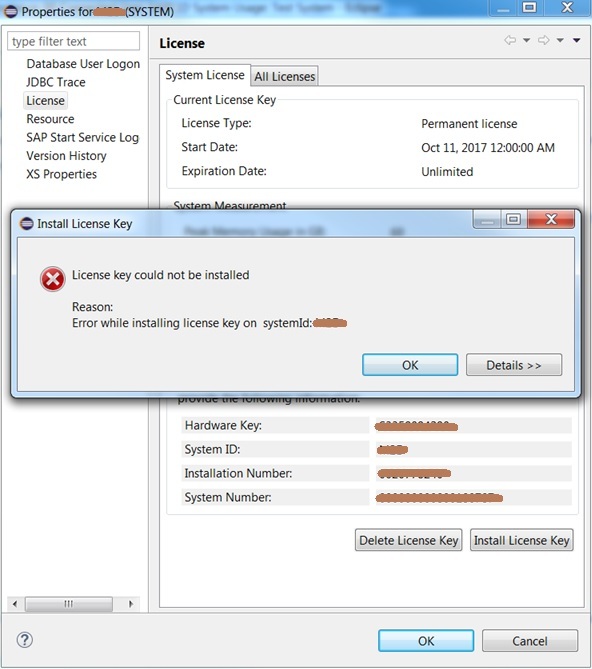 This is the first of a set of posts about new features in the SAP HANA client interfaces. Following posts discuss the new python and Go drivers, but all of these assume you have the SAP HANA Client package installed on your computer, so this post is a reminder of how to do that. I would like to share my knowledge, which I gained from SIT (SAP Inside Track). Before getting started with a particular topic, I would like to share my experience on SIT, which was conducted in Hyderabad. It was a great pleasure for me to be a part of SIT. There were many valuable sessions throughout the day for 3 tracks (Technical, Functional and Analytical). As basically I am from technical side, the topics which they chosen are really excellent and presented in a very good manner.